At five-thirty in the morning I set off with one of our contributing authors, Bob Adsett, to catch the Dover to Calais ferry. 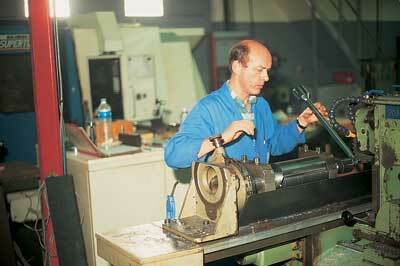 Our destination was the factory of a small specialist spindle-block maker located in Calvados country. 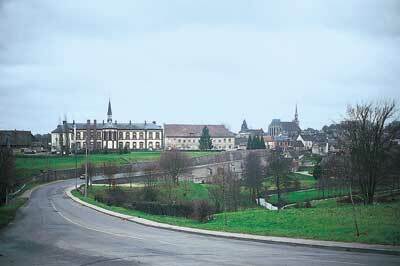 The crossing was calm and, with Bob at the wheel, we continued our journey through the French landscape to Conches - a small picturesque town roughly 120 miles from Calais, south of Rouen. The Bridonneau factory lies in a rural setting quite unlike the industrial site I had expected. On arrival, I had my first look at the spindle-moulder blocks that are manufactured under the trademark Le Ravageur with its distinctive beaver logo. I knew of Bridonneau's product by reputation but had never handled the real thing before. I must confess that I thought they were wonderful! The blocks are superbly engineered and are coloured metallic red, yellow, gold, blue, green and black and almost look like strange pieces of art. 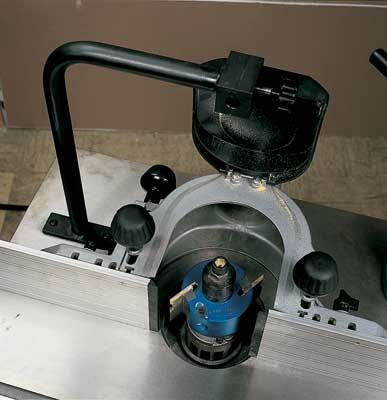 Like any tool that is beautifully made, they have an appeal that is beyond their function. They are exquisite to handle - well-balanced, light and strong. I have always had a healthy respect for spindle moulders - I suspect that what puts a lot of woodworkers off them is the sheer size of the blocks and cutters, not to mention their potential to endanger life and limb. The Le Ravageur designs strive to be more user-friendly, even if their name implies otherwise. There is a versatile and imaginative range of blocks made at the Bridonneau factory, catering for the manifold needs of joinery and furniture-making. 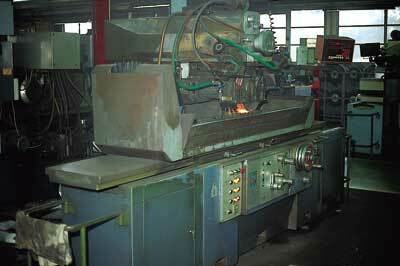 In tandem with the blocks, there is an equally large selection of matched pairs of cutters. The blocks have a pin system that locates in holes on the cutter blank in precisely the optimum cutting position - simple and effective engineering. Together with chip limiters, such precision goes to making spindle moulders inherently safer than they were when Bridonneau first started manufacturing 50 years ago - today, British manufacturers are looking at their European counterparts and realising the advantages of the precision pin system. 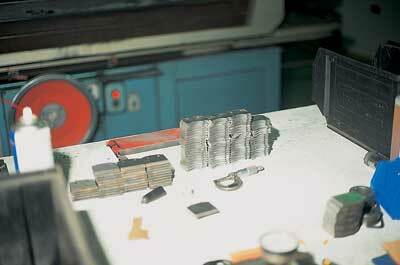 The Bridonneau company was originally set up in the 1930s with a tiny workshop and a staff of two, producing tooling for the big spindle blocks of the day. 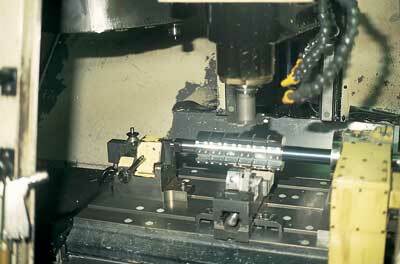 In 1938 they patented the first spindle blocks with interchangeable cutters. Within their own country and other parts of French-speaking Europe, they developed a market for their unusual product providing work for a medium-sized workforce. In 1986 Roger Hess, the current owner, bought the company and began to expand its horizons to address a more international market. Bridonneau currently employs 27 people making the standard ranges of blocks and cutters as well as one-off specialist tooling to customers' requirements. 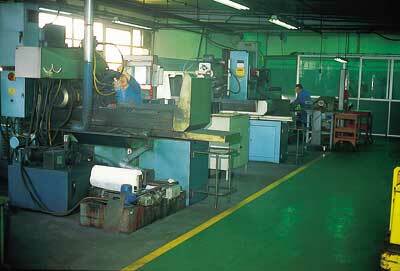 The workforce consists of experienced engineers, some of who have been making spindle-blocks and tooling for 35 years. 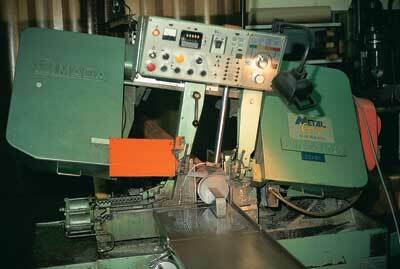 During this time many of the processes have remained unchanged. 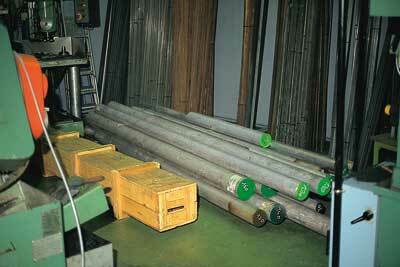 The spindle-blocks are made of aluminium alloy which start their life as a solid raw bar cut on an automatic hacksaw. 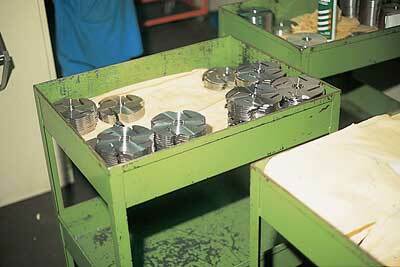 The blocks are machined in small batches using a combination of conventional and CNC lathes and millers. 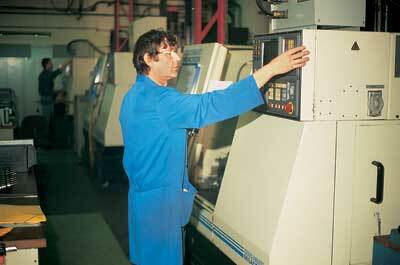 In recent years CNC equipment has meant that Bridonneau can have a much more adaptable workforce. Because they produce relatively small runs they can quickly manufacture a one-off order that a larger set-up could not fulfil because of the cost of stopping its production run for smaller orders. This means that Bridonneau can adopt a flexible approach to customers' orders by carefully monitoring their stocks and orders. 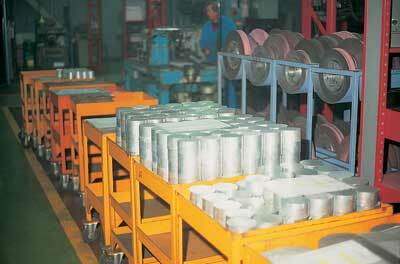 This combination of traditional engineering skills and modern production machinery gives the company the capacity to take on the small orders. Despite some of the processes being under the control of the CNC machines, some of the cutters are still ground by hand as this is the only way of making small batch production cost effective. 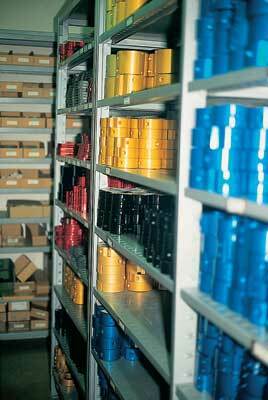 Bridonneau can meet a customer's order in two to three weeks if it is a special one-off, or the next day if it is a stock item destined for France or Belgium. The company has a separate developmental workshop where the blanks and master blocks are made and new products are tried out in consultation with production manager, Pierre Scolot, and the team of company product designers. Quality control is rigorous and every item is measured electronically against the original specification. The company still manufactures chains for chain morticers, which are still quite common in France, giving them another niche market. Roger Hess has pushed Bridonneau to expand its market - originally about 60% of their orders came from France and Belgium and from as few as ten customers. These days the company has expanded to take in all the 30 French-speaking countries and is constantly increasing its exports to other retailers in other countries. The company has recently joined forces with an Israeli company, Dimar, which specialises in router cutters - this broadens their product range and the number of other countries that sell Bridonneau products. 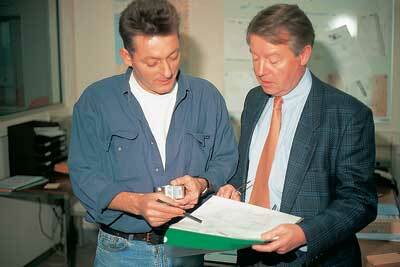 The impression I got from the operation at Bridonneau was one of quiet professionalism. Here was a small firm, making a high-class product, who put enthusiasm and real understanding into their work, echoing the same pride and attention to detail shown by toolmakers of the past. Bob and I left the following morning keen to try out Le Ravageur blocks and tooling - our enthusiasm waning just a little during the force-ten gale crossing home! "The impression I got from the operation at Bridonneau was one of quiet professionalism"